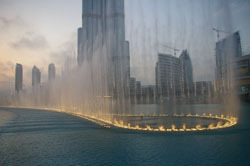 It's a 5-day journey to Dubai in which you will see the most exciting city sites of Dubai. 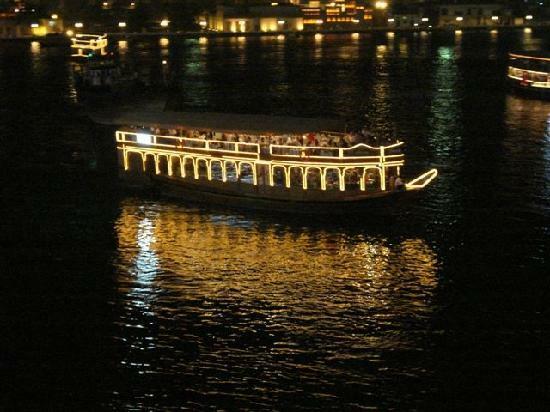 There you will enjoy cruising on traditional ships (dhow) , eating the most delicious foods, listening to the most beautiful domestic music besides Sahra tour and,.... you will also have the best chance to go shopping in the biggest centers of the world. 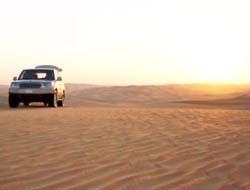 Undoubtedly, Glance of Dubai would be one of the most memorable journeys you'll ever have. Morning is free at leisure for shopping. In the evening you will visit Jumaira City. 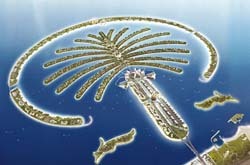 This award-winning resort hotel has 26 stories comprising 617 sea-facing rooms, suits and villas. Retail shops include sports and leisure, carpets, pharmacy, caviar, photo developing, jewelry, electrical items, clothing and newsagents. There are also 22 cafes cafes, restauranrs and bars. Business guests and couples travelling alone have access to the new stylish club Executive Lounge providing a convenient meeting place offering breakfast, refreshments and sundowners. There’s a haven where executives can hold informal meetings or simply reflect on their day. Day 5: Morning is free at leisure. Depart Dubai in the evening.